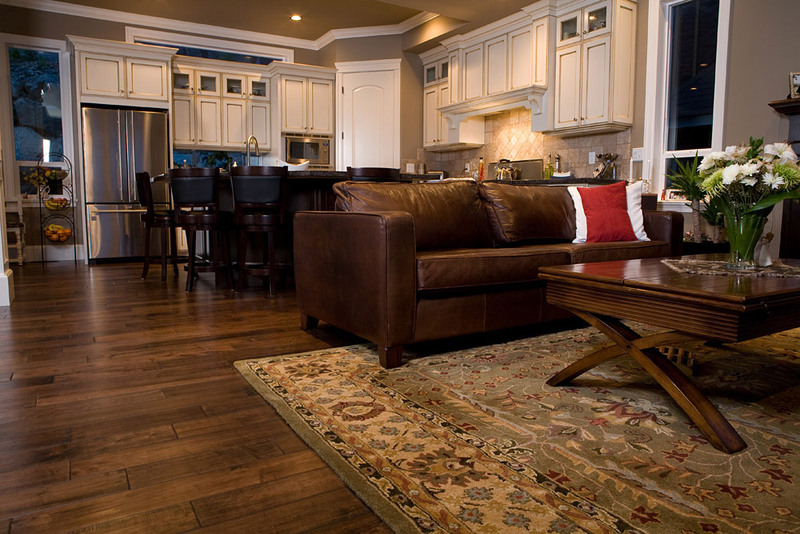 Home > Blog > Buying And Evaluating > What Rug Material Is Right For Your Home? 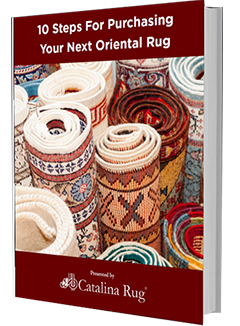 There are several different factors that you need to consider when you go shopping for a rug. In addition to deciding on the right size, shape, color and pile height, you must also take into consideration the material that the rug is made of. When you are looking at an Oriental or hand-woven rug, rug material is just as important as any other factor. 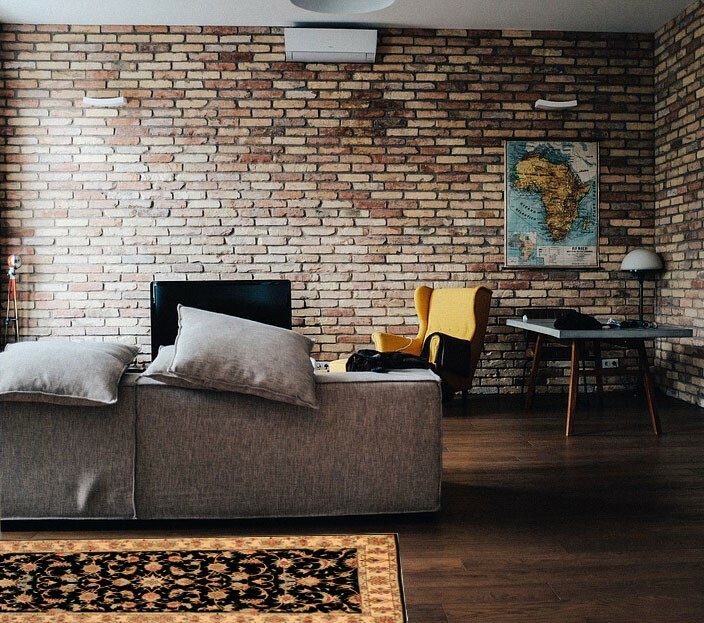 Here’s a look at some of the most popular rug materials, how can they affect the maintenance and wear of a rug and how to make sure that you are choosing the right material for your home. One of the hardiest natural materials used in rug-making, a wool rug can feel anything from scratchy to plush, depending upon whether it is the sole material or used with other natural materials. 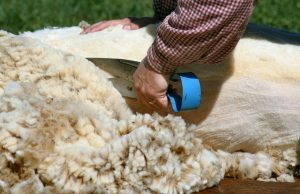 Wool contains lanolin, and lanolin is what gives wool its water-resistance, stain-resistance, and soft feel. Wool is widely available and a renewable resource. The age, breed, climate, and diet of the sheep affect the quality of the wool. Wool rugs are the best choice for placing in cold, drafty rooms because they keep out chills and keep the room feeling warm and cozy. Wool is also a great choice of material for high-traffic areas because of its high durability. What you should know is that a wool rug it that it may seem to shed a lot when you first get it home. This is nothing to worry about. It is just the excess cut bits of wool that are falling off. The shedding will stop in roughly three months. Nothing is as soft, lustrous, or luxurious as silk, and some of the finest Oriental rugs are made entirely of this material. Made from the cocoons of silk worms, silk has high luster and warms up under the touch of a hand or foot. Extremely soft and easy to work with, silk is incredibly delicate. Silk rugs add a touch of sophistication and elegance to any room. 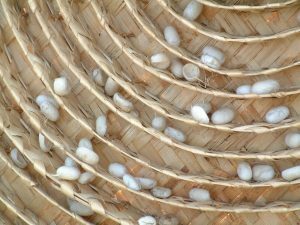 Silk fiber is extracted from the larva’s cocoon. Because silk is so expensive, silk rugs are typically woven with wool as well. Silk rugs have a fine, shiny finish. Silk is a delicate fabric. Rugs made from this material are best placed in low-traffic areas and rooms that aren’t used very often so they last longer. Silk is also not stain-resistant, so it does best in seldom-used spaces where it can be admired. Cotton is extremely tough and is often woven or hand-knotted into a flat rug. Cotton rugs do well in high-traffic areas, kitchens, and bathrooms. They can withstand staining and heavy foot traffic, so it may be perfect as a hallway runner or in children’s rooms too. Cotton rugs are often bright, cheerful, and easy to take care of. If you prefer a casual and relaxed atmosphere, then cotton may be the perfect rug material for your easy space. One of the most important points to consider when choosing a rug is what kind of activities will take place in the room. Will there be heavy traffic, or will the room only be used during special occasions, like holidays or annual family gatherings? 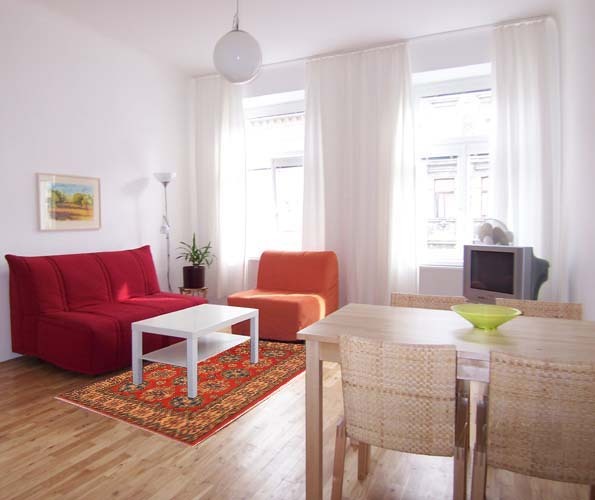 How large is the space where the rug is going? Does the room tend to be moist or humid, or is it dry? What kind of furniture is in the room? Is the space casual, formal, or used as a workspace? No matter what type of living space you want to place your rug in, choosing the right material will not only enhance the look of the room but also make it easier on you with regards to upkeep, maintenance, and durability.